Food can be comfort, it can bring joy, and it can also inspire feelings of guilt. For many people, cooking is an expression of love. For others, it feels like a burden. Food can evoke feelings of communion, social connection, memory, tradition and even identity. This is true for humanity in general, but it’s even more complex when you’re on a healing diet. There’s the gratitude for food being medicine, combined sometimes with feelings of deprivation, rebellion and grief. My guest today is an expert on this topic. Marc David is the founder of the Institute for the Psychology of Eating. He’s also the author of two books: Nourishing Wisdom – A Mind-Body Approach to Nutrition and Wellbeing, and The Slow Down Diet. Today, we’ll be exploring in depth the intersection of the mind and body when it comes to the food we eat and how it impacts our health. The Phoenix Helix Variety Pack is a great way to sample POTG meals. 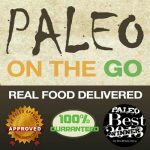 It's a selection of my favorite, nutrient-dense AIP foods, permanently discounted $20. His interest in nutrition and health began very early in his childhood. He was in and out of doctor's offices with frequent illness and severe asthma. At age 5, he heard that fruits and vegetables were supposed to be good for you, so he asked his mother to start including them in his meals. (He had been raised on processed foods up until that point.) When his health improved a little bit, he was hooked on the idea that food can be medicine. He studied nutrition in college, but when he started working with clients, he learned that information wasn't enough to help people make lasting healthy changes in their lives. He went back to school to get a master's degree in psychology, but there were no classes on the psychology of eating. After years of independent research, he founded The Institute for the Psychology of Eating, to teach others what he learned. Note from Eileen, your podcast host: I know sometimes people read the show notes instead of listening to the podcast, but this episode is a conversation best heard. Our emotions, thoughts, and beliefs all impact how our body absorbs and metabolizes food. What we're eating is half the story when it comes to nutrition. The other half is who we are as eaters. Our nervous system has 2 branches. The sympathetic nervous system is known as the “fight or flight” response. The parasympathetic nervous system is known as the “rest and digest” response. All healing happens when in a parasympathetic state. This is why we rest so much when we're sick. Stress activates the sympathetic nervous system, so it's often dominant in modern life. On vacations, the parasympathetic takes over, and we not only digest our food better, but our autoimmune activity often decreases as well. Ways that we eat under stress (which negatively impact our digestion): Trying to multi-task while we eat. Eating quickly. Background stress that we carry with us throughout the day. Ways to bring relaxation to the meal experience: Take 5-10 slow, deep breaths before a meal. Focus on eating without doing anything else. Eat slowly. Reflect on the bigger picture: where is the self-chosen stress in our lives that we can start to let go: perfectionism, self-judgment, harsh self-criticism, etc. All of these are emotional autoimmune attacks (attacks on self). First, understand that the mind-body connection affects our health, whether consciously or unconsciously. Personal power = metabolic power. Reaching our personal potential helps our body reach its physical potential. So, personal growth is an essential part of physical healing. Be willing to get curious and ask yourself the deeper questions: Why am I here? What lessons am I here to learn? How am I here to grow? What character flaws am I here to overcome? How am I able to serve others? Where am I falling short? Where am I excelling? Ask these questions with love, not self-judgment. This is a lifelong pursuit – not something that happens overnight. But the journey begins with asking these questions. Addressing the special challenge of autoimmune disease: feeling betrayed by and at war with our bodies. It's natural to feel angry, disappointed and depressed when we are struggling with severe symptoms, but we need to have a deeper understanding that our bodies want to help us. Feeling at war with our bodies compounds the problem by activating the “fight or flight” response – which is the opposite of a healing state. We need to have compassion with ourselves for having these human feelings, but we need to strive to transcend them and love our bodies instead. Relaxing into our symptoms – though counter-intuitive – can activate healing. My Body Is Not My Enemy. Supportive Cravings: Your body is craving something it needs – an example of the body's wisdom. Dispersive Cravings: Your body is craving something harmful – usually born from a distorted yearning to fill a hole in our lives. Associative Cravings: The craving is associated with a powerful memory. The 3 Types of Cravings. I Don't Have “Yummy” Amnesia. When we struggle to stop eating the foods that increase our autoimmune symptoms. The first step is to remove the “battle” mindset. This isn't a habit to “break”; it's one to be understood. Approach it with compassion for ourselves and an understanding that this is a difficult challenge to face. The answer is simple, but not easy. It takes practice, and it's not something people succeed at overnight. But with time and effort, this challenge can be transformed. 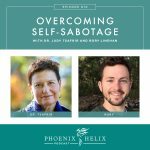 Podcast Episode 10: Overcoming Self-Sabotage. Being mindful of food choices and being afraid are two different things. Fear is a stress response that will inhibit digestion and increase food intolerance. So, it can become a vicious cycle. Develop an awareness of when fear enters the picture and catch yourself; don't let it snowball. A healing diet requires nutrient-dense food choices. It's not just about avoiding inflammatory foods. 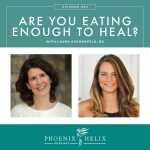 Are You Eating Enough Food to Heal Your Body? 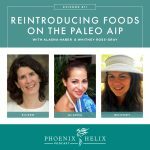 Eating Disorders and the AIP. Strict AIP Isn't Meant to Last Forever. 5 Ways to Reverse Autoimmunity That Have Nothing to Do with Food. Eating Psychology Coach Directory – For 1:1 help. 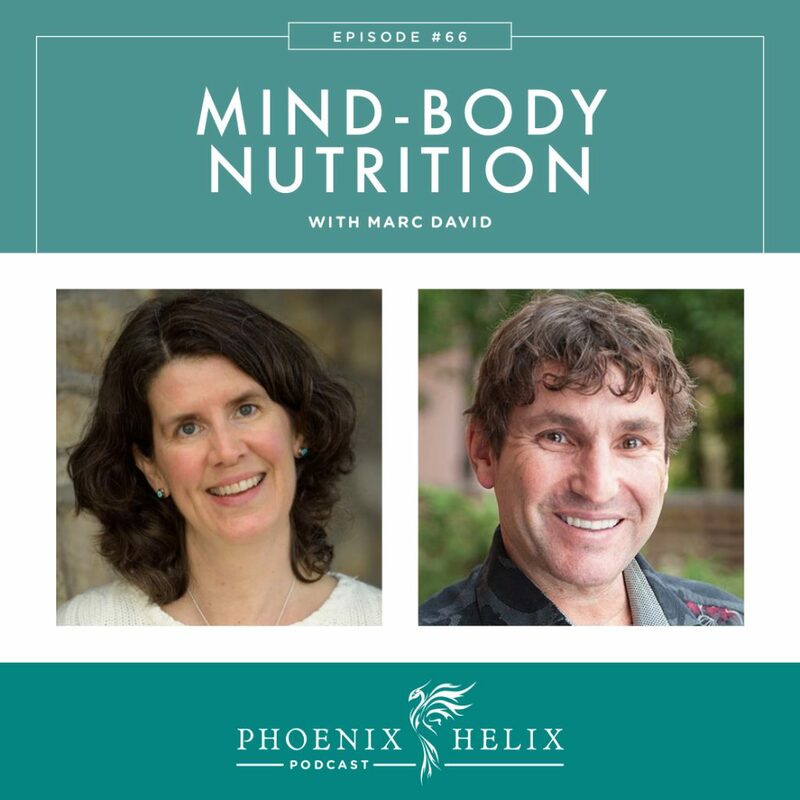 Marc David's books are: Nourishing Wisdom – A Mind-Body Approach to Nutrition and Wellbeing, and The Slow Down Diet. His website is full of information as well, including videos, articles, educational programs and a practitioner directory. He also has a great podcast called The Psychology of Eating.